ACH “Automated Clearing House” a fund deliver system that processes e-payments and electronic debit and credit transfer. Incorporating electronic check payment solutions for your customers can take your business at new heights, as they do not have to go for complex payment process to transact. In the fast progressing world of e-commerce industries globally, the methods of payments being done by the consumers have changed too. Now, there are alternative methods to pay for the purchase you have done. We at Radiant Pay offer online credit cards payment solution. We make use of the latest technology to provide you with safe options of payments. You do not have to worry about your data being hacked or stolen or misused in any way. Use our online credit cards payment solutions to enrich your buying experience. We are a well-known card processing agency. 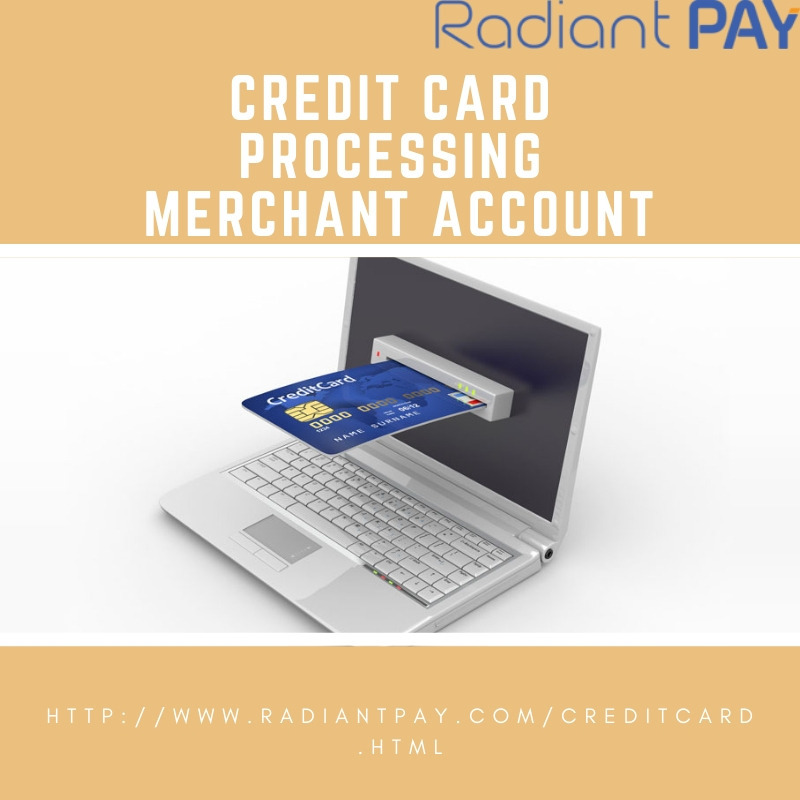 In the present world, a lot of factors have led to the rise of credit card processing services like us particularly, the rise of e-commerce sites. Such business sites serve thousands of customers each day and each customer has their own preferred method of payment. With the presence of online card processing solutions nowadays, the process of payment has become hassle free. 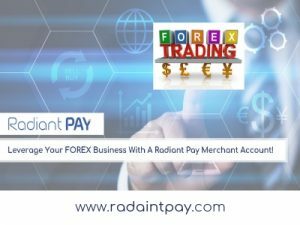 To add on, the credit card companies, who provide credit card payment solutions run various offers for the customers using their credit cards, thus, enchanting them to use the credit cards in their online transactions. The customers can pay in their local currencies. Depending on your industry, your business model may be less attractive to banks and market service providers and may be classified as high risk. Being labelled high risk can make it more difficult to obtain loans and search for a merchant service provider to do business. The good news is that you can still get services through a high business payment solution provider. Here are some signs that you benefit from high-risk market services. When it comes to payment processing, you may have difficulty getting approval from a high business payment solution because you are operating in a high-risk industry or you are exposing yourself to one of many reasons a vendor would qualify. Your business venture high, such as fraud, bad credit, or a chargeback story. 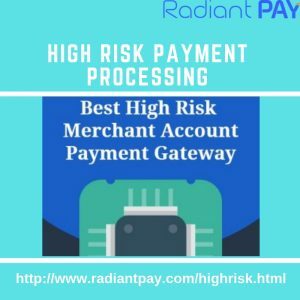 Take benefit of high risk business merchant account at http://radiantpay.com/highrisk.html. At Radiant Pay one can get the high business payment solution for their business. Below you will find some of the many sectors / companies where the number of charge backs is higher and that many market services consider being high risk. In simple terms, if your business model is considered high risk, it is difficult to find a financial institution willing to do business with you. As a result, you need high-level market services to ensure the success of your results. Subscribing to a high-risk merchant service provider has several advantages, the most important of which is charge backs. Most of the time, the merchant is charged a fee for each chargeback, which covers the administrative costs of the service. However, a high-risk payment processor will have significantly higher fees for each instance. In addition, if the trader already has a high-risk activity and receives excessive delinquencies, the costs increase even more. Plastic money, along with mobile payment solutions have become great tools of our day to day. Are you going to travel and besides the cash in the local currency, do you want to go with the peace of mind to be able to pay or get more if you need it? Your online card processing solution is the best option. Have you forgotten the wallet? Nothing happens. You can pay with your smart phone in a lot of places. These are just some of the solutions of your day to day that you can cover. But surely you want to know in depth the advantages and disadvantages of online card processing solution to get the most out of them as a good smart consumer. The credit cards payment solutions are like a credit that the bank grants you. For example, if you make an online purchase at Amazon, it is the entity that advances the payment money to the necessary store and then you return it to your bank within the agreed period. Depending on the chosen modality, you will pay the amount at the end of the month, with a fixed amount or in a specific number of monthly payments by online card processing solution, the interest to pay depends on each entity, but as a general rule if the modality is “payment at the end of the month” there is usually something else, if, for example, you use it to extract cash at an ATM or use another form of deferment. The debit card works differently. In fact, the same purchase you pay automatically with the money available in your account. The advisable thing is to have both, since you can use them adapting them to your specific needs. This will give you more flexibility and greater financial freedom. What are the best means of payment and what forms do I have to use them? This is very common question which come in mind of many people. 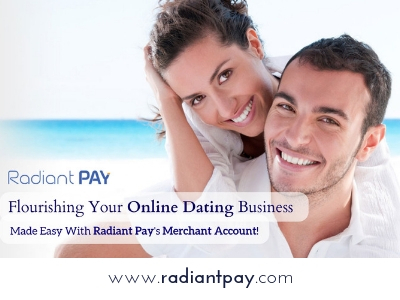 Radiant Pay Credit card processing services is answer of this question. All Cards are personal and non-transferable, so you must identify yourself to the affiliated establishment that requests it. The recurring charge can only be made with the authorization of the cardholder, and this is usually done with the first payment. At this time, the payment processing service will save the card details and encrypt them. The merchants will have access to the code (token), which can be used to charge regularly. The cycle of recurring payments will not be interrupted until the cardholder decides to cancel the subscription service with automatic billing. Clearly recognize every recurring transaction to the buyer. Send notifications by email to consumers before each charge, preferably including information on the amount to be charged. Provide clear information about the configuration of collections, as well as any payment related to the delivery of goods and services. Offer simply available contact detail for customer service. Give subscribers a simple option to cancel recurring charges. Clearly state the cancellation policy on the website. Finish the automatic collection immediately after the buyer’s request. card processing agencyCredit Card Processing servicesCredit Card Processing.